Established in 2005 by Neil Catherall, Lighthouse Gin is the culmination of years of hard work, research and native botanicals, brought together to create a truly authentic New Zealand gin. The design and inspiration for this gin came from the Cape Palliser Lighthouse at the southernmost tip of the North Island of New Zealand. 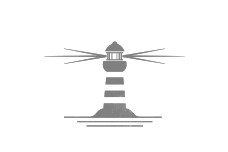 With the famous lighthouse in mind, founder and Master Distiller, Neil Catherall, spent several years researching and experimenting with a variety of native botanicals, including fresh zest from New Zealand grown Navel Oranges and Yen Ben Lemons, to create a unique small batch gin. During his years of research, Neil designed a 200 litre copper still from scratch and had it built by the local craftsmen. With his custom still built and his unique botanical formula complete, Neil went to work crafting the first batches of Lighthouse gin. As the production and demand for the gin increased, distiller Rachel Hall joined the Lighthouse team in 2010 to assist Neil. Rachel spent the next few years learning as much as she could from Neil before being named Head Distiller of Lighthouse Gin in 2014. Today, under the direction of Rachel Hall, Lighthouse Gin continues to produce small batch gin with its unique blend of nine botanicals. The unique blend continues to impress connoisseurs and experts around the globe with high scores and exceptional reviews. 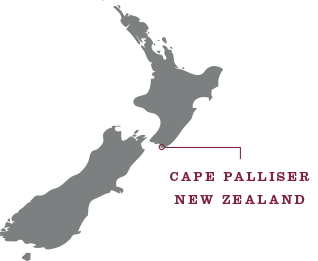 Our home is situated in the picturesque Martinborough, near Cape Palliser in the North Island of New Zealand. On a clear day, looking south-west, you can clearly see the Seaward Kaikoura Mountains of the South Island while looking to the south-east from Cape Palliser you can see only the wild, aquamarine-blue ocean stretching all the way to Antarctica, a worthy place for a great cast-iron lighthouse. The lighthouse was imported from Birmingham in 1896 and erected in sections, one on top of the other, hauled up by cast-iron pulleys to the top of a seemingly inaccessible cliff. There was no road until 1941 and in the preceding years the lighthouse families would have lived very isolated existences. The Cape Palliser Lighthouse is an unforgettable place, inhabited by a growing population of fur seals and the intrepid fishermen of Ngawi village, their fishing boats hauled up the shingle banks, with their precious catches of crayfish. It took master distiller Neil Catherall over five years to perfect this unique gin. The hard work and research continues today with Rachel Hall as she continues the Lighthouse Gin traditions. The gin base comes from sugar cane imported from South Africa. It’s a very pure neutral spirit at 96.4% abv, that we combine with pure water, filtered down through the New Zealand Rimutaka Ranges, and our nine hand selected botanicals, which is then macerated in the copper-pot still overnight before the first distillation. The gin is re-distilled without the botanicals. This double distillation process creates a gin with a much more refined, smooth and elegant palate. Lighthouse Gin has a very fine, soft tone with individual botanical notes. The citrus and juniper are finely balanced giving a fresh, clean start on the palate with the deeper spices adding length and complexity to the mid palate. Soft characters that hint at vanilla linger at the finish along with a strong botanical verve. a pure & complex gin with initial notes of magnificent lemon & juniper that lead into a finely spiced mid palate and a soft lingering finish.